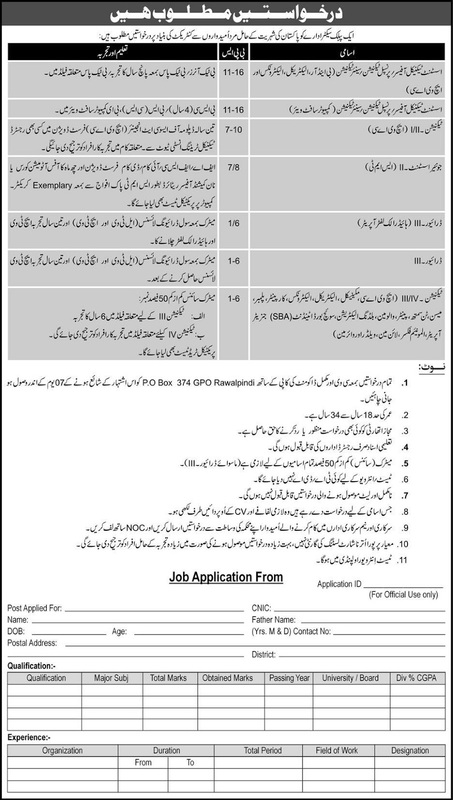 Public Sector Organization Rawalpindi Punjab. Interested Candidates submit their applications along with their CV and other relevant documents to the following Mailing Address: P.O.Box No. 374, G.P.O Rawalpindi, within 07 Days from this advertisement of Publication date. Age Limit is 18 to 34 Years. Incomplete Applications or received late after the due date will not be considered.